The “world’s best thinkers” are turning to Melbourne to help foster growth in the South Australia purpose economy. Allyson Hewitt (left) at a round table meeting in Melbourne. 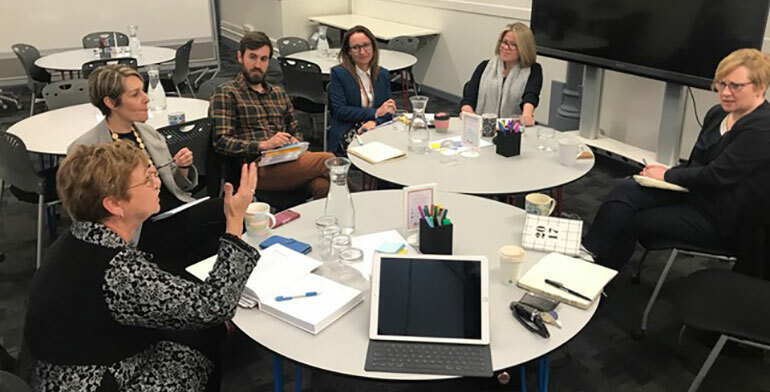 Allyson Hewitt, internationally renowned social innovator and the first primary thinker for the Adelaide Thinkers in Residence program, has attended a number of roundtable meetings at The Difference Incubator to gain learnings that can be translated to South Australia. According to Hewitt, the main takeaways centred on the number of businesses working in the purpose economy, many of which were experiencing significant growth, the work being done in the impact investing ecosystem, and seeing how businesses were consulting to other businesses. She told Pro Bono News she was impressed with what was going on in Melbourne. “I was surprised by the depth of the business model expertise that exist in running these not for profit consulting [organisations],” Hewitt said. “They really are well positioned, they have figured out the niche and how they can really compete with some of the major players by leading with social purpose and doing it under the auspices of a not for profit in the social enterprise space and I was very impressed by that. As Adelaide’s First Thinker, Hewitt, senior fellow at the MaRS Discovery District in Toronto, is looking to bring a diverse range of people and organisations together to work on building an inclusive economy and prosperous future for South Australia. She said there were real opportunities there for the purpose economy. 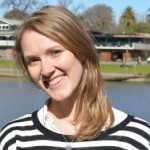 “In South Australia, we have TACSI, so The Australian Centre for Social Innovation, and we have Business Models Inc and they are two of the primary kind of intermediaries who are well positioned in that space, in a different but complementary [way], in terms of how they can support the sector, particularly with the impact of the National Disability Insurance Scheme,” she said. “So there is really exciting opportunities I think there, in what is happening in launching accelerators and using design thinking and all of that. But she said they were also facing a number of challenges. “We’re still struggling a little bit with the language, getting people excited about what does it mean, what does social capital mean in this space, what do we mean when we talk about the purpose economy,” she said. “People very much come from their own lived experience, and we had a very interesting discussion about the gap between those that are seeking jobs and their job readiness, and just really understanding how complex all these issues are. Hewitt previously spent three weeks in Adelaide in May as part of the Social Capital Residencies, run by not-for-profit think tank the Don Dunstan Foundation in partnership with the university, business and community sectors. The series, which will run over 18 months, aims to help redesign the social innovation ecosystem so that the private, public and not-for-profit sectors are all helping to grow the economy and do good at the same time. When she was here last Hewitt said she left people with “homework”, to advance the conversation in her absence. She said it was “pretty incredible” to see the progress that had been made. “The state government of South Australia just made an announcement about their Royal Adelaide Hospital site, obviously people have been thinking deep about what that site could be and I think there is some interesting opportunities there, so that is moving along,” she said. “We had some great discussions with folks who have been impacted by the NDIS and they’re looking at things like they participated in a business model accelerator program, they’re looking at shared services, back-end services, they’ve got some funding around that, so that work has advanced, and there has been some interesting prototyping that’s getting ready to take place. Hewitt said the aim for the next stage of her residency was to “get a little bit clearer”. “The first one was like a listening journey, for lack of a better term, so really learning and listening to what was going on, and then we pulled out a few key areas for consideration,” she said. “I think what we want out of this one is to go much deeper on determining prototypes. “You can’t boil the ocean as they say, so what are we going to go deep on, what projects do we think offer the greatest opportunity for leverage. So where are our inflection points that’s going to get us to the next level of impact. “So this work is now about picking those kind of focus areas and setting them up for success through ongoing meetings, and tracking and that will be again managed by the Don Dunstan Foundation.